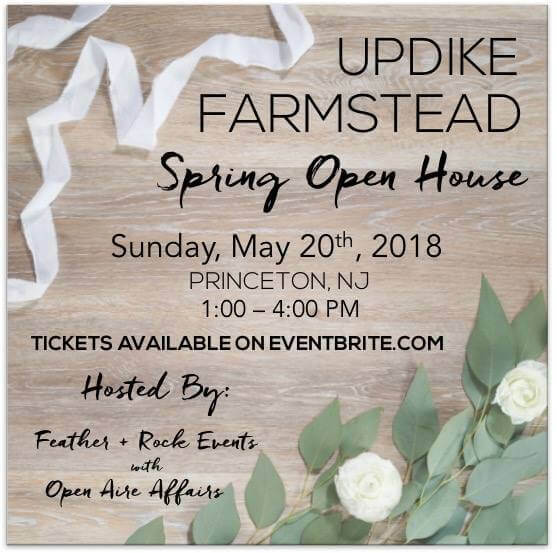 Join us & Open Aire Affairs on Sunday May 20th, 2018 from 1:00 – 4:00 PM to check our one of Princeton’s premiere wedding venues Updike Farmstead. This relaxed open house event is open to the public and tickets are available for $5 each. Click the link below to purchase your tickets today!